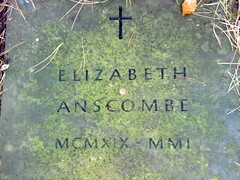 Bill, can your image of ELIZABETH ANSCOMBE’s grave be added to her new Find-A-Grave entry? What were her lectures like? I am very curious?